Outside of some early mistakes as a young man, I have always paid my bills in full and on time but everyone makes mistakes every once in a while. Now there’s a happy ending to this story but I’m going to share why it’s important to pay your bills on time, how I made my mistake, how it got rectified and how you can avoid the same mistake. Ultimately this has become a learning moment … a cautionary tale if you will, and I hope that you can gain some insight from my tale of woe. 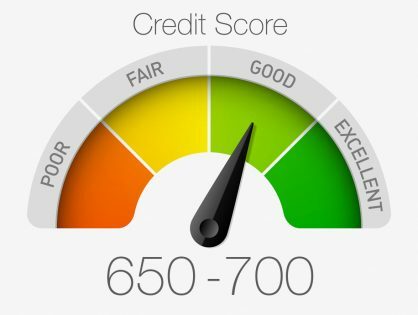 I have written a few articles about Credit History and Credit Score and if you don’t have a good handle on it, I would recommend that you take a look through the article listed above. You can also take a look at my articles related to Credit Basics if you want even more information. 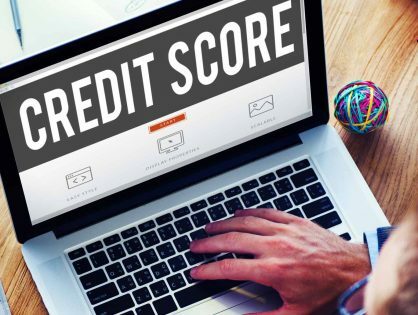 As a refresher, your Credit Score is a number that ranks your credit worthiness and is used to be able to quickly judge your ability to service loans and make your payments. This is ultimately what credit card issuers use to decide whether or not to approve you for a credit card. If you read the articles above, you would see that the biggest aspect that affects your credit history is your Payment History. Officially, Payment History makes up 35% of your credit score but in my experience, it can feel as if it plays a 60-70% role in your score. While making your payments on time can slowly increase your credit score, missing them can and will IMMEDIATELY submarine your score. As you know, I advocate the churning of credit cards such as the MBNA Alaska Airlines World Elite Mastercard because it is highly churnable. I had canceled my MBNA Alaska card in preparation of re-applying for the card in 3-4 months time. There were a bunch of service fees related to Manufactured Spending that were wrongly assessed on my card that I had called in to have reversed. As an aside, you won’t see me talking about Manufactured Spend here on PointsNerd but if you want to know more about this lucrative aspect of Travel Hacking, I would highly recommend you attend PointsU this November 3-4 at the Marriott In-Terminal Airport Calgary as one of the topics that I will be moderating is Manufactured Spending. You can use coupon code “PointsNerd” for $20 off admission! When I had called to have the charges reversed, MBNA reversed all the charges except $10. It took me 3 calls to get the majority of the charges reversed but for some reason, the last rep that I spoke to started reversing the charges by giving chunks of credit instead of reversing each charge on its own. Ultimately this left the account with a $10 fee because her math was off. When I noticed this, I called MBNA once again to reverse the $10. I had to wait 30 minutes before I got a hold of a rep and when I did, I explained the situation to him and got placed on another 10-minute hold. When he came back on the line he said that all the charges were reversed and that the $10 that was left on the account was from account activity. I knew that this was wrong … impossible in fact, but I had grown tired of the charade and ended up giving up because it just wasn’t worth my time to pursue it further … or so i thought. I then promptly forgot about the $10 charge, expecting to see it on the final statement, which I would then pay off. I never received that final statement. I didn’t clue into the fact that the $10 was still owing until I got a notification from Mint that I had been assessed a penalty of $0.16 on my card. When I went to look online, I saw that I owed $10.16 so I promptly paid the amount owed. I have Equifax’s Complete Premier Plan which was a free service that was provided by Home Depot due to their data breach (or it could have been something else … I mean they seem to happen daily). One of the benefits of the Complete Premier Plan is that I get an alert any time there is a change in my “narrative”. Whether that be a new card being opened, a new credit inquiry or anything else, I get an email prompting me to log into my account. Yesterday, I got an alert that said my Credit Score had changed. This was highly unusual because I had never received that notification before. When I logged in, my jaw hit the floor. 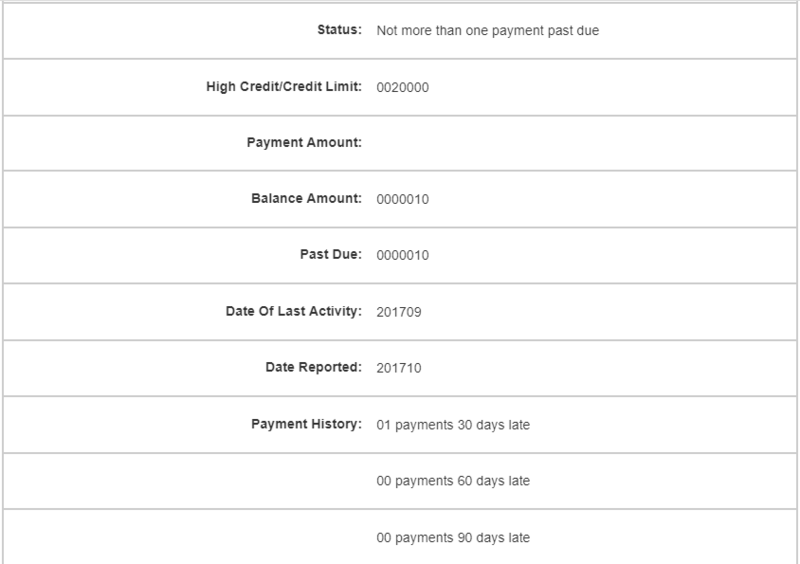 My credit score was DECIMATED by 37 points for a late payment! I don’t think it had anything to do with the amount ($10) but everything to do with the missed payment. Now you know why I said it feels as though Payment History plays a 60-70% role in your credit score. MBNA reported the late payment to the credit bureau and they have the power to reverse the notification if they see that there is a valid reason to do so. As I had mentioned in the What Happened section there were quite a few factors that came into play as to why I had a $10 amount owing and why I missed the payment, the most significant of which was the fact that I never received a final statement from MBNA. I called into MBNA’s Customer Service department to plead my case to see if I could have the credit hit removed from my credit bureau. The rep that I spoke to was very understanding after listening to my story about where the $10 fee came from and how I never received my final statement. The fact that this was over $10 and that outside of this incident I had a perfect payment history probably played a role in MBNA’s cooperation. I was placed on hold for 30 minutes while the rep spoke to her supervisor and when she came back on the line, she advised me that they were reversing the $10 charge (which should have been done months ago) and sending a request to the credit agencies to reverse the claim that I had a delinquent account. I was warned that this could take 30-45 days to be reflected in my credit history but that it was being taken care of by a supervisor. by the name of Sandrine. I knew that missing payments would affect your credit history but I never knew how much it could affect it. Something as simple as one missed payment could mean the difference between being approved for a loan/credit product or not. Now that you know how much a missed payment can decrease your credit score, hopefully, you will be more diligent in your tracking and payment of your credit card bills. If you do miss a payment, not all is lost. You can always contact your lender to see if they are willing to reverse the claim with the credit bureau. You will obviously need a good reason why you missed the payment and a good payment history will certainly help your cause. It’s definitely easier not to get into this situation but if you ever find yourself facing something similar, now you know what your options are. Earn $22 AND Get Your Credit Score? Ha! I had the same thing happen to me… except it was a $1.39 iTunes charge on an MBNA card I rarely use. DIdn’t notice it, or thought I had paid it… and boom… one day I get a delinquent notice. MBNA couldn’t do anything in this case, but my credit score recovered in 2 months or so to almost my previous level. Dropped from low 700s to 660s. Thanks for sharing your experience. Crazy drop in your score as well it seems. Did anything else change in those two months or do you think it was purely a time thing that increased your score? Nope… nothing else happened. In fact, the only thing that card was being used for was monthly iCloud updates and the odd app purchase.